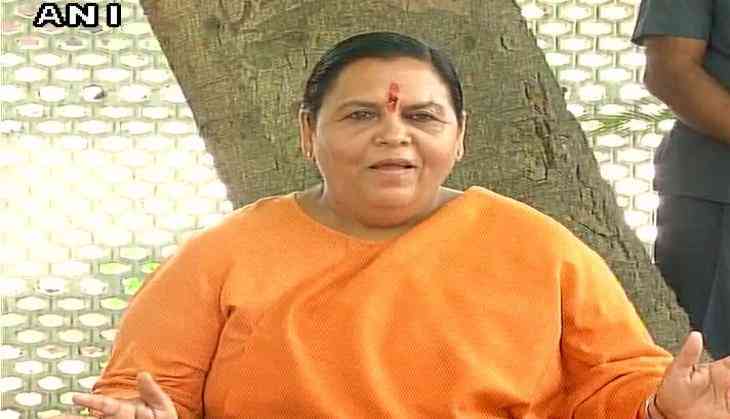 Bharatiya Janata Party (BJP) leader Uma Bharti on 1 September refused to comment on speculations over her resignation from the post of Union Minister for Water Resources, River Development and Ganga Rejuvenation. She took to Twitter and said, "The speculations that have been floating since yesterday in the media - I will not entertain any questions relating to them." Meanwhile, Union Minister Sanjeev Balyan has said that he was asked for the resignation and followed the order. He further said that now he would propagate the party's campaign in western Uttar Pradesh full time. After resigning from the post of Union Minister of State Skill Development and Entrepreneurship yesterday, Rajiv Pratap Rudy earlier in the day said that his resignation from the post was the party's decision and further refuted any strategy behind it. Few other leaders also resigned last evening, hinting towards a mega cabinet reshuffle, ahead of the 2019 general elections when Prime Minister Narendra Modi will seek a second term, to be held before he begins his visit to China to attend the BRICS summit on Sunday.